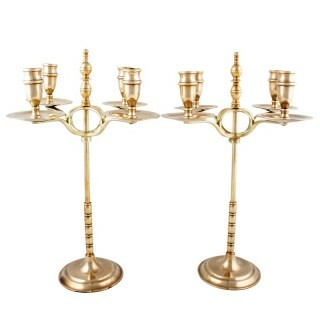 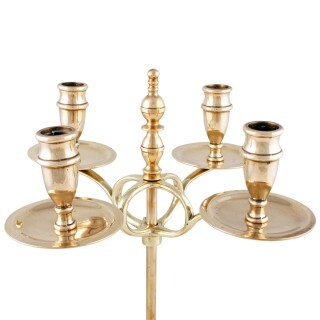 A pair of early 20th century Dutch style brass four branch adjustable candelabra. 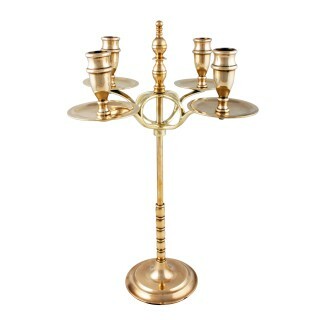 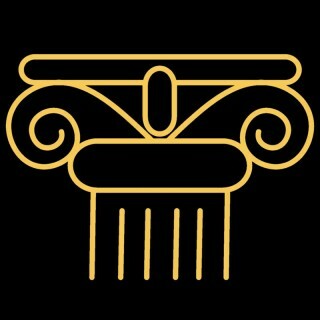 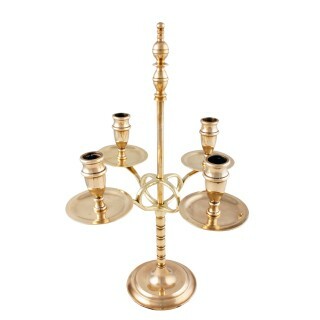 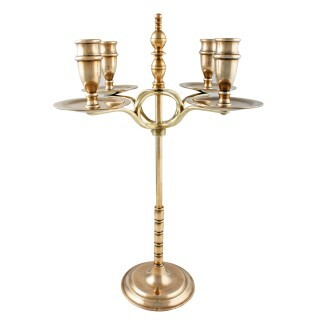 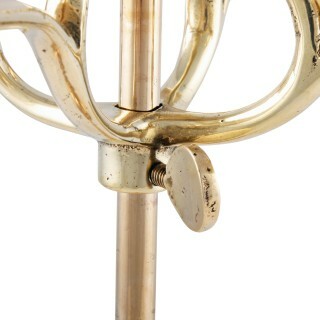 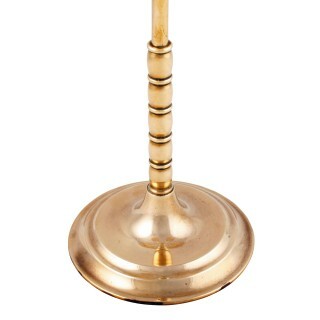 The candelabra have a round base and a slim central pillar which is bobbin turned near the base. 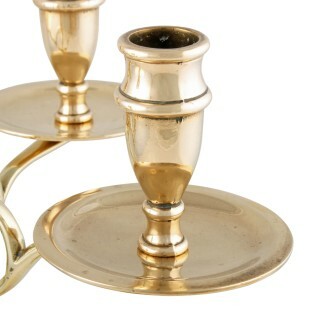 The four candle holders to each stick have a drip tray and are joined in the centre to a brass frame that has a wing nut for adjustment.